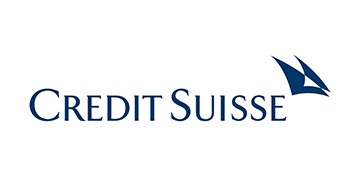 Credit Suisse is a leading wealth manager with strong investment banking capabilities and strong presence in our home market Switzerland. We seek to follow a balanced approach to wealth management, aiming to capitalize on the large pool of wealth within mature markets as well as the significant growth in wealth in Asia Pacific and other emerging markets. Founded in 1856, we today have a global reach with operations in over 50 countries and 46,640 employees from over 150 different nations. Our broad footprint helps us to generate a geographically balanced stream of revenues and net new assets and allows us to capture growth opportunities around the world. We serve our clients through three regionally focused divisions: Swiss Universal Bank, International Wealth Management and Asia Pacific. These regional businesses are supported by two other divisions specializing in investment banking capabilities: Global Markets and Investment Banking & Capital Markets. The Strategic Resolution Unit consolidates the remaining portfolios from the former non-strategic units plus additional businesses and positions that do not fit with our strategic direction. Our business divisions cooperate closely to provide holistic financial solutions, including innovative products and specially tailored advice.